Warm waters and submarine treasures all over the island make Cuba a must-see destination for diving enthusiasts. In bed and breakfast in Cuba, we offer a guide to the best spots to scuba diving in Cuba. The island has one of the best preserved underwater landscapes in the world. 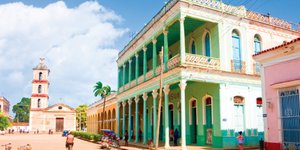 Cuba is known for its colonial towns, antique cars, and cities that are frozen in time. The best rum and cigars in the world come from the island. And by its warm people, the music and dancing complete its Caribbean flavor. But thousands of travelers are attracted every year by diverse and wonderful landscapes. The island offers infinite valleys, mountains, forests, mangroves, caves, amazing beaches and more. The natural marvels of Cuba are not limited to the land, underwater there is even more to see. This country is an incredible destination for scuba divers. Is home of the second largest coral reef in the world, just behind the Australian Great Barrier. There are several dive spots all around the island and most of them are very close to the coastline. The marine life is very rich. There is possible to see many spices of shark, such as nurse, hammerhead or whale shark. Turtles, tuna, barracuda, spadefish, green morays… the corals are also fascinating: gorgonians, plume worms, sea urchins, coral shrimp, tube sponges are there to give life to the barrel. There are 50 species of coral and 200 species of sponges. Diving is possible to explore vertical walls, caves, sunken wrecks, tunnels and shallow reefs. There are options for experience and for people who have never done it before. The dive centers offer the preparation needed to explore submarine life for the first time. One of the best parts of a scuba diving trip to Cuba is how well preserved is the marine biodiversity. This has been a priority on the island. The coastline in Cuba is 5,700 kilometers long. All around it, there are diving sites for all levels of divers. 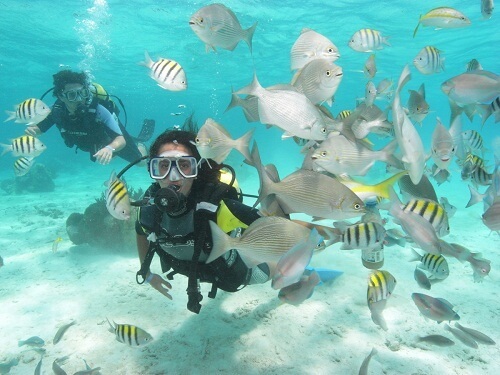 Even people that are on a short trip to the island can take a day to go scuba diving. There are centers near Havana, where is possible to dive in the north coast. But the best diving sites in Cuba are in the south. Also, if you are on a long trip and plan to visit several towns, it would be possible to find a good spot everywhere. This way you’ll get know the most of the submarine life in Cuba. 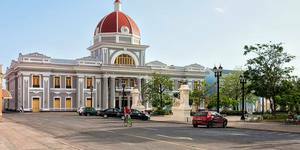 Among the provinces that offer the best sites are Trinidad, Camaguey, Ciego de Avila, Guardalavaca, Matanzas, Santiago de Cuba and Pinar del Rio. 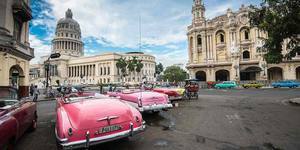 You can plan your trip before arriving in Cuba. 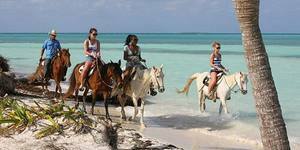 A few dive centers will arrange the transportation from Havana, to their destination. But some of the trips can only be booked once they arrive on the island, it will not be possible to do it before. Everything depends on the places you choose to go. Clean and crystal waters, among the biodiversity, make this a wonderful experience. The diving sites are protected areas, so always have in mind that you also have to take care of the environment while enjoying the view. Once in Cuba, if you prefer, you can rent a car to drive from town to town. Taking a bus is another option and is not expensive. Also, moving around the provinces by airplane in an option, but this way you’ll be missing contact with Cubans and the chance to know more about the island and the way they live there. 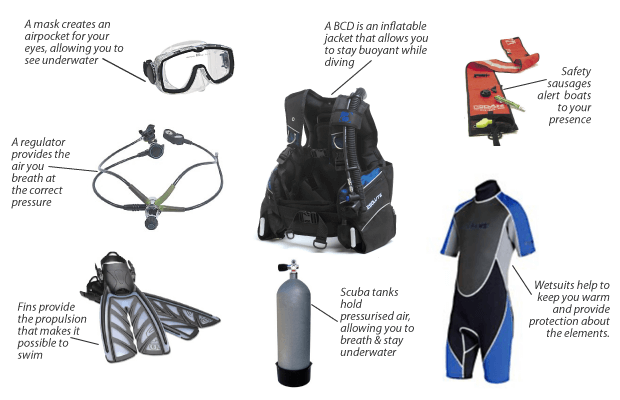 Expert divers can take their own gear with them. If not, the centers have everything they need to scuba diving. We have written before about the currencies in Cuba. The basic information you need to know is that there are two currencies: The CUC and CUP. Tourists pay with CUC and this is the one you need to cover your trip. 1 CUC is equal to 1 US$, and a diving trip will cost around 35 CUCs. It’s expensive but it definitely worth the experience. And the best part is that you can spend a long time underwater because you won’t have to travel far away from the coast. In some tours, it’s possible to find a discount. This usually happens when there is a large group of divers or if you plan several dives. In general, you could plan your diving holidays in Cuba at any time of the year. The water is warm all year long, its temperatures vary from 22°C (72°F) to 29°C (84°F). The lowest temperatures are in the December and the hottest in July. The peak time for scuba diving is between December and April. The temperature during these months is the best and the rainfall is at the lowest levels. From May to November the temperature increases and the rainfall. In July and August, the possibility of hurricanes is higher. This could be a problem if you want to witness the migration of the whale shark because this is between July and November. Security is important while scuba diving. There are care centers all around the island in case a diver needs attention. Accidents can happen and the diving centers are prepared to act in case of an emergency. The care centers operate 24 hours and aerial transportation is available. The visibility in almost every site is 30 to 40 meters, thanks to the clear waters. Colorful fishes, a diversity of corals and sunken wrecks are just some of the marvels you can see under the sea water. As we said, there are interesting spots and Cuban dive centers all around the island, here are some we recommend you to explore. Jardines de la Reina or Gardens of the Queen is one of the best spots to Cuba diving in the world. This archipelago is located 80 km offshore and is the largest Marine Park in the Caribbean. Getting to this spot is not easy, the access is restricted, and commercial fishing is banned. 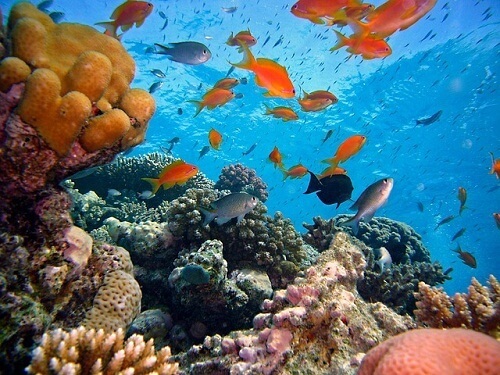 There is one of the largest reefs in the world. Visitors can see several species of sharks, including the nurse, hammerhead, and whale, among others. Also, is possible to snorkel with saltwater crocodiles. Also known as Treasure Island, It is located at the west of Jardines de la Reina, you can get there from Pinar del Rio. It has 56 dive sites where you will find sunken wrecks, walls, tunnels, caves, eagle rays, barracudas, sharks, and many more. This location is a good spot for novice divers as well as experts. The place is full of life and the fishes vary from one site to another. Some places to see under the sea are Piedra de Coral, Tunel del Amor, Ancla del Pirata, Pasaje Escondido and Cueva Azul, just to name a few. It’s also located 80 km from the main island and is accessible by sea or by air. This one is in Pinar del Rio and is one of the most popular places for scuba diving. It’s famous for the black coral and is usual to find barracudas, jacks, lobster, and crabs. Also, the whale shark and Mantas can be found here. In Maria la Gorda you’ll see Yemaya a huge wall that takes you to a tunnel. Also look for El Salon de Maria, El Jardin de Gorgonia, El Ancla de Francois, el Almirante o Las Tetas de Maria. Located in Camagüey, Santa Lucia is a 20 kilometers beach with more than 30 dive sites. From here divers can go to the second largest coral reef of the world, located 200 meters from the shores. Bull sharks and the remains of Spanish merchants are some the main attractions in this area. The best diving sites here are Poseidon, Cueva Honda, Shark’s Point, Nuestra Senora Virgen de Altagracia, and Mortera. Playa Ancon is one the three sites located in Trinidad. It has more than 40 species of coral. Diving can be done from the shore. The other two sites here are Ensenada de Casilda that is also very close to the coast and Cayo Blanco. To go to this one is necessary to take a boat, once there you will enjoy black corals, sponges and more. The Bay of Pigs is a great option for beginners and those with more experience. Walls, black corals, and sunken wrecks are some of the attractions to enjoy on the 30 dive sites in this area. This is one the option for people staying in Havana and wants to experience scuba diving in Cuba. It is close to the shore; actually divers enter the ocean’s water from the rocky shoreline. There is a cave and a wall to explore. Do you know another zone we should add to this guide to the best spots to scuba diving in Cuba? Let us know in the comments and contact us if you are ready to book your accommodation on the island.